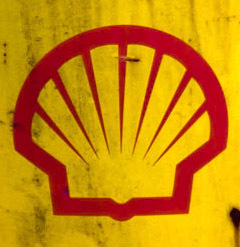 Shell Solar Panels: The Green Oil Giant? Shell solar panels are currently mainly of the CIS thin film variety though some vendors still advertise monocrystalline and polycrystalline panels from this manufacturer. Shell themselves stated they stopped manufacturing silicon based panels in 2006. The thin film CIS panels currently on offer have a 10 year warranty regarding degradation of power output and a modest two year warranty on the construction of the panels. Shell solar panels using monocrystalline silicon cells have been in service for many years and are known to be of exceptional quality. Shell has benefited from this positive feedback and has combined this with its CIS panel production and some investment in wind energy projects to paint a green picture of the company. Recent initiatives by Shell such as Gas to Liquids technology and Coal Gasification help to put Shell in the light of the socially aware corporation that is working toward the common good while allowing us to maintain our high standards of living. Their websites also promote Shell as a company that values people and diversity, works cooperatively with indigenous peoples to benefit all with regards to resource exploitation, and values the environment and is constantly seeking ways to reduce their impact on the natural world. We know that the main work of Shell and the source of its wealth is its exploitation of fossil fuels, chiefly oil. We don’t have to scratch too hard at the glossy surface Shell presents to the world to find some stories that seem to contradict their politically correct green facade. Shell’s activities in the Niger Delta, in Africa, include a long list of horrors including oil spills, dumping of toxic materials and association with groups involved in the harassment and sometimes killing of indigenous people. In Russia Shell avoided direct public implication in another environmental disaster involving the construction of the Sakhalin Island oil pipeline by using a company for the work of which they are the majority owner. Shell’s poor environmental standards are not just restricted to areas of low population. In the Phillipines city of Manila in 2007, the massive Pandacan oil depot run by several companies including Shell was ordered to be closed for environmental concerns including but not limited to local residents being exposed to harmful carcinogens and other toxins from the site. While it is good to see any major company investing in solar energy, it appears that Shell solar panels are more of a public opinion greenwash than a real effort to free the world from the grip of oil dependency. Purchasing solar panels from this manufacturer would be an act of support for this organization and its operational methods. Given that similar panels can be obtained from many other providers at the same or lower cost, avoiding Shell products seems the only sensible thing to do.